In honor of International Women's Day this coming Sunday, Spotify released data on which female artists get the most streaming love on their service and surprise, Beyoncé, Rihanna, Katy Perry and Lana Del Rey came out on top. 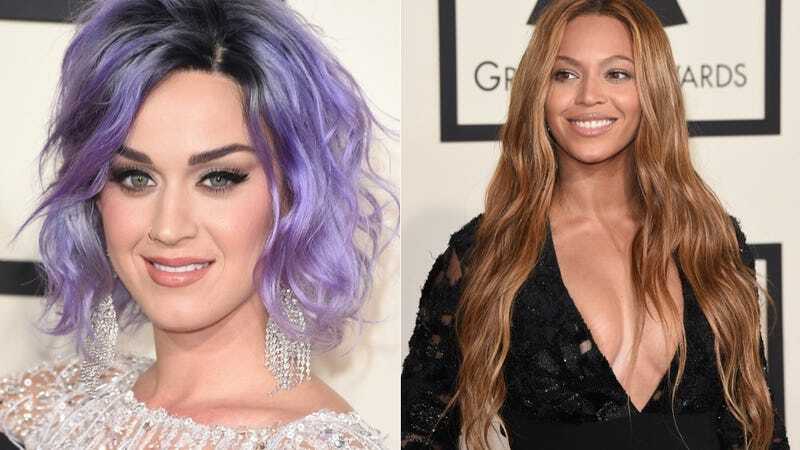 According to Spotify, Beyoncé is the most streamed female artist among women both in the U.S. and worldwide, with Katy Perry coming in second. Internationally, Rihanna is the most streamed woman overall among both genders, and it's Lana Del Rey in the U.S. Overall, the data suggests: all women love Beyoncé. The whole world loves Rihanna. America loves Lana Del Rey. And men love listening to Katy Perry and Lorde. All-time most streamed female artists by men on Spotify in the U.S. Note: Shrug emoticon is Spotify's shade (per their press release), not ours.